Android Getting Banned in India? The Android operating system by Google is one of the most popular platform for smartphones and tables around the world. Most of the mobile companies, like Samsung, Micromax, HTC etc. sell Android devices exclusively. But it has been reported to us that Android may get banned in India. Mr. Kapil Sibal, Telecom Minister of India, has indicated that too much adult content is freely available in Android Apps that are available on the Google play store. Instead of banning Android OS or Android play store immediately, Kapil Sibal has asked the media to suggest a solution to resolve the issue. When the Google India representative was asked about the issue of content in Google play store that is unsuitable for minors, he said that Google does not allow adult content on its store and if anyone sees such content, they should immediately report the instance to Google, and it will be removed. The Google account of developers who distribute such apps will also be banned. Google representative also added that all the Android apps on the Google play store follow a strict rating system consisting of 4 levels. Parents are encouraged to use the rating system before they install any Android apps on the smartphone of their children. The real issue here is that Android developers can submit Android apps to the Google play store without being processed any filters or manual review by Google. Android apps submitted to Google play store get available for download within an hour. Google should verify the Android apps before they get live instead of deleting them when reported. Both Apple and Microsoft follow this procedure. 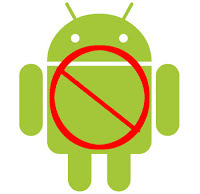 Its very unlikely that Android operating system will get banned in India. At most, Government may ban the Google play store. Google may also change the review process for the Android apps submitted to the Google play store to solve the issue entirely.